I’m not much of a self-reflection guy. But I do make time each December to take stock of how my business performed over the past twelve months, and what my plan is for a successful new year. But before getting too far into marketing budget allocation for 2018, attorneys should answer some important questions about themselves and the capabilities of their firms. Doing so will reduce the frustration associated with wasted time and dollars, while also providing peace of mind and ensuring strong returns on business development investments. 1. How much of your budget will go toward direct lead generation strategies verses those designed to build brand awareness? You’re in for a tough road if you expect one type of marketing to do the job of another. 2. What is your tolerance for worthless leads? This is one of the most ignored factors in the marketing decision-making process. Yet, I’ve seen lawyers nearly go crazy because of the shear number of junk inquiries they receive from marketing campaigns. Worse yet, I’ve seen some of them cancel campaigns that produce well overall because they couldn’t see past the volume of unviable leads. 3. What is a realistic expectation of revenue generation? If you are expecting a 20 to 1 dollar return on your marketing, you better brace for disappointment. The legal market is too competitive for that type of success in all but the best-case scenarios. 4. How good is your intake process? If you haven’t reviewed – in detail – how prospective clients are handled from start to finish, there is no question you are losing money. Perhaps surprisingly, the most successful law firms tend to have the worst intake. 5. Is your online resume incredibly impressive? The best law firm clients are going to check multiple sources before making a hiring decision. The first page of Google search results for your name needs to make you shine brighter than all other options available to that prospect. 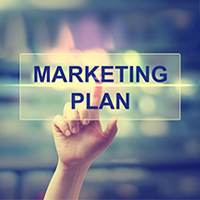 There are no guarantees when it comes to marketing investments, but you can greatly increase your chances of success with the right plan. And the end of the year is a great time to put your knowledge and experience to work on creating it.